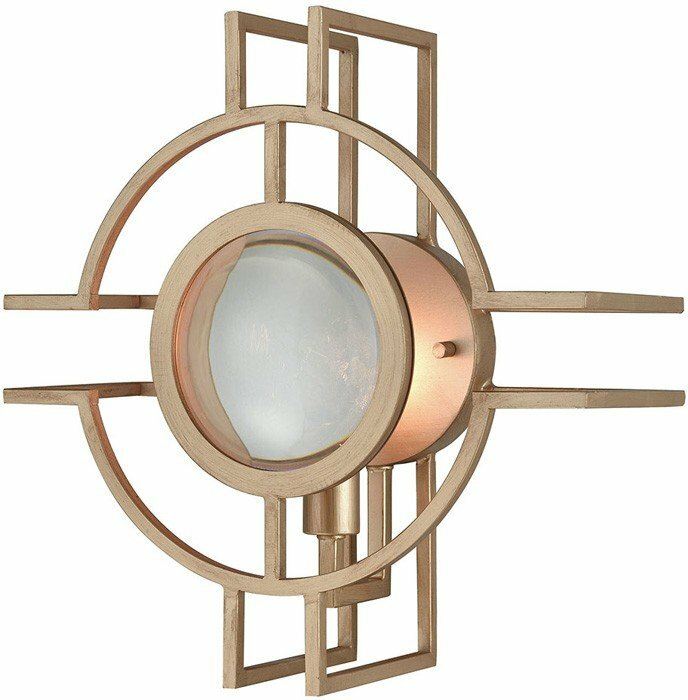 The Lens Flair wall sconce merges lavish Art Deco precision with the bold satirical tone of SteamPunk, enhancing an immaculate gold grillwork with an oversized magnifying lens. 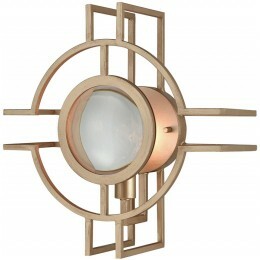 Conveys impossible-to-ignore glamour with a wry cinematic feel. Stunning Matte gold finish.